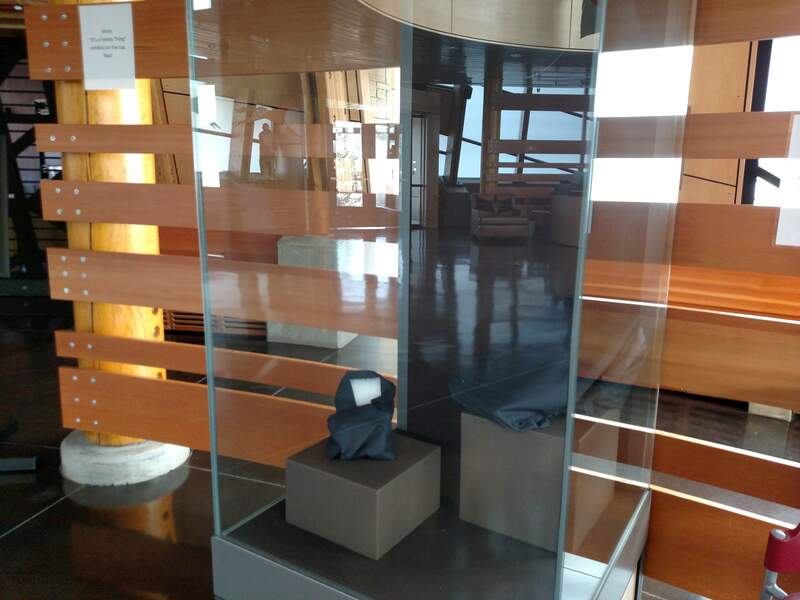 A display case stands empty Tuesday at the Southern Ute Cultural Center and Museum in Ignacio. A managerial takeover by the Tribal Council is underway as the museum’s nonprofit status dissolves and donors are reclaiming their artifacts. Joy Anna and Mary Stolworthy share a moment of discovery during a July 2012 field trip of the Skills For Learning program in Bayfield to the Southern Ute Cultural Center and Museum, which had been named one of the best museums to visit by True West magazine. The Southern Ute Cultural Center and Museum in Ignacio is emptying of artifacts and appears to be closed as tribal government prepares for a takeover of the nonprofit facility. This week, representatives with the Smithsonian Institution’s National Museum of the American Indian were at the museum boxing up items loaned to the tribe. “They were due to come back in June, due to our contract ending, but the tribe volunteered to return them to us a little early because of their situation,” NMAI spokesperson Eileen Maxwell said. Native saddlebags, children’s dolls, clothing, weapons of war, baskets and other artifacts from the 19th century to present are among the 26 items from NMAI on their way out of Ignacio and back to Washington, D.C. Walls look bare inside the museum, which is dissolving its 501(c)3 tax status, purportedly by June 1. The tribe announced in March that the museum was losing nonprofit designation because it failed to uphold a contractual agreement to become financially independent. As a result, artifacts on loan must go back to their donors or be renegotiated with the tribe. Linda Baker, the new museum director appointed by Tribal Council, declined to speak to The Durango Herald on Tuesday, when the museum had little on display. Some items belonging to the Box family, including Orian, Austin and Russell Box, also appear to have been reclaimed. The Box family could not be reached for comment. History Colorado, a Denver-based museum, reclaimed eight items in October, after the tribe decided not to renew the loan, according to Elisa Phelps, director of the collections and library division. The museum was among many planned stops for John and Nici Dobson, who were visiting from Big Sky, Montana, on Tuesday to see historic native sites in the region. The couple noted that the museum’s website does not indicate closure. The possibility of dissolution became reality last fall after a contract between the museum and tribe expired. The expiration marked the museum’s deadline to raise $5 million over five years, but former staff said the Tribal Council deliberately set an impossible goal because the museum employed few tribal members. The tribe will not answer questions about the collections or details of future management, which has raised concerns among some tribal elders. Michael McLachlan was the museum’s hired attorney from 2002 to February 2015. He quit in part out of frustration with the Tribal Council. The political battle, he said, has always been about having a tribal member hold the position of museum director. Shirley Cloud-Lane was the most recent; she is native and part Southern Ute, but not a tribal member. According to McLachlan, the tribe also violated a critical clause in the memo of agreement that required it to meet with the museum and discuss renewing the contract as the expiration date approached. That meeting didn’t happen. “It’s a very disrespectful move to the people on the board, and it was a very intentional design to take over the museum,” McLachlan said. 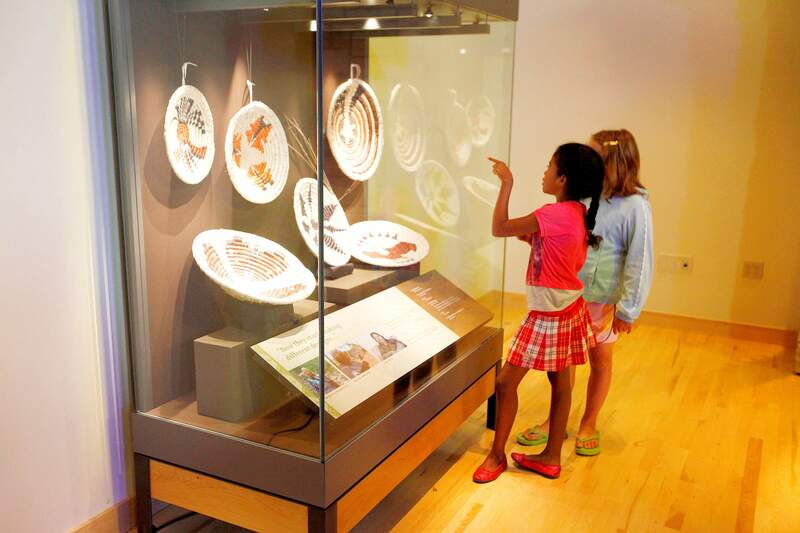 The museum, which opened on County Road 517 in 2011, has more than 1,500 artifacts. What the complete inventory entails is unclear, but the tribe may be able to retain some items. McLachlan said in the museum’s early years, documentation defining the terms of loans was not well-kept, and therefore, some artifacts could be an irrevocable gift to the tribe. Paul Kosnik, a former attorney for La Plata County, is McLachlan’s replacement. He declined to speak to the Herald but said a joint news release from the museum and tribe is forthcoming. Maxwell said NMAI has no qualms about entering negotiations with the tribe again.